The newest lunchbox amp from our custom boutique shop, the 2525. 25 Watts of power and tone. 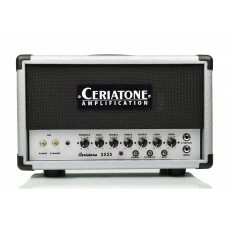 Ceriatone's 25-watt 2525, is our latest addition to our Hot Rodded Plexi lineup. The 25-watt 2525 Lu..